His self-doubt knocked mine out. 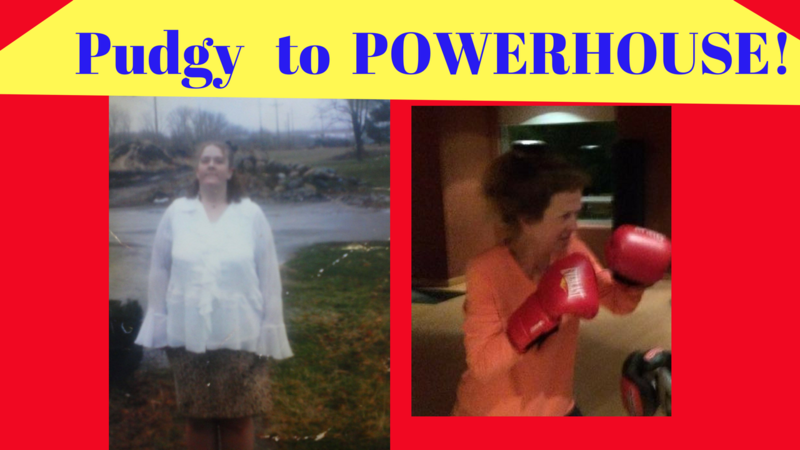 I went from pudgy 300+ pounds to a 115 pound POWERHOUSE! Cell phones—specifically texting– gave me the motivation needed to say “I’m worth it” and get rid of my abusive ex for good. I was with this man for 10 years. Texting started in its Beta Phase when we were together. It gave him a license to go behind my back and test drive other women the way they were test driving texting. I had a feeling that, in addition to beating me, calling me fat, ugly and stupid for years, he was cheating on me. Before texting (BT), it was hard for me to get in touch with him, since he had no phone & lived with his parents. After texting (AT), we moved in together, and he was constantly looking at his phone. Worst of all, it made me feel worthless, not just suspicious. It was as if I didn’t matter. I felt useless. I found the strength to leave him because one night in our home, he would have killed me had I not thought to call 911 to get him help for whatever drugs he ingested. The police walked in after he started beating me and took him to the hospital, then prison. I moved into a mobile home my grandmother bought me. This is the texting incident that sealed his fate as my kicking-himself-in-the-head saying “Why was I so stupid?” ex. I continued to see him (behind my family’s back) after I moved into my trailer in the country. The final straw was on Valentine’s Day, when he was texting right in front of my face. (Literally, I was laying on him and he had the phone in front of me so he could see it). I saw a text from a woman and asked who she was. He tried lying of course. That was the moment where all his withdrawals from the bank of my life accumulated. “That’s ENOUGH! I am worth it!” I was terrified of all the necessary changes to become (as I like to say) “The Best Wife Ever”, but I was willing to start the journey. It used to seem so overwhelming. Now I KNOW I can conquer! I’m slowly getting out of debt and accumulating interest in the bank of my life. I’m worth it, so I invest in myself, so I can invest in you! Since dumping him (I got a PFA (Protection From Abuse)—almost the same as restraining order), I’ve received 3 degrees (including a MA in Writing), I lost over 200 pounds and kept it off, I’m a published author, successful YouTuber (musician), and have moved to Los Angeles, California. Those are only a few of my conquests. My whole mission in life is to show you that if I can do these things, so can you! Today, (AT) I value myself & the gift of someone’s presence above all material possessions, or intangible gifts, even my music. I have a lot of important things to do if I’m to leave the legacy of love I want to leave on this world. The most important is you. That’s why when I speak with you, I make sure my phone is out of sight, and I give you the time and attention you deserve. I want people to feel more valuable when I am with them. That is what my grandma did for me. She gave me the strength and courage to get off drugs 10 years ago, leave my ex and start investing in myself so I could change the world instead of talking about changing it. Happy Valentine’s Day, ladies! Love yourself. Sleep well, eat healthy, exercise, pamper yourself. Take an electronic diet daily and take time to meditate. Or just think “What do I really want in life?” Then go about being what you want! It’s hard work, but you can do it! Just know you are worth it!